I very much hope that you are enjoying the musical treats brought to you by our ‘carol a day’ advent calendar. 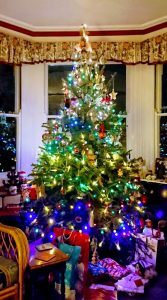 Our contribution for December the 4th comes from another brilliant member of the Felixstowe Book Festival committee, Birgit, who has picked ‘O Christmas Tree’ as her choice of carol. 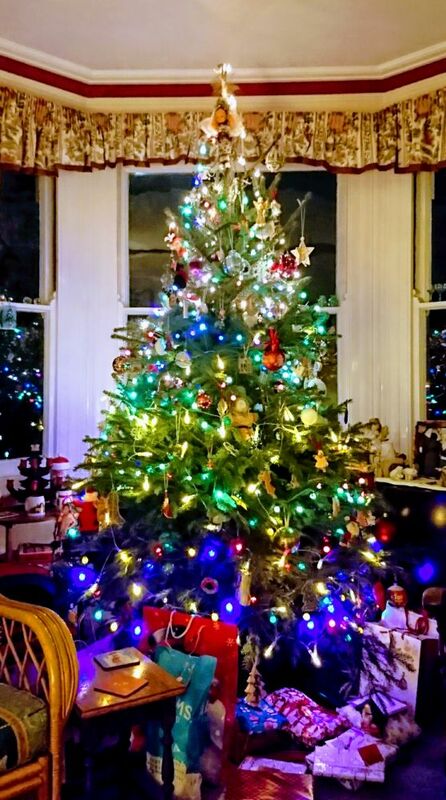 ‘Over the years that I have lived in this country, stood at the light switch on in our little seaside town and listened to the Salvation Army band leading the frozen people through songs and carols, I realised one thing: English Christmas Songs seem so much more joyful than German ones. Christmas service is a rather solemn affair in Germany. The songs are slow and depressing and not joyful and hopeful like so many British ones. I was asked to pick my favourite song and this has to be ‘Silent Night’. I like this one that made the jump across the channel (probably courtesy of Prince Albert I suspect, like real Christmas trees). Another Christmas song that I would like to mention and that is quite possibly also a ‘present’ of dear Albert, is ‘O Christmas Tree’. One has to ask oneself ‘why are we singing to a tree?’ Any other time of the year we would get very strange looks if we stood singing at a tree. But at Christmas it seems a perfectly normal thing to do. It is as if the normal rules don’t apply at Christmas. Interestingly the original song is a German Folk song that can be traced back around 500 years and has no religious lyrics but over the years the words have changed and these days a religious meaning has been added. The original lyrics talk about how we can learn resistance, trust and hope from the tree that stays green all year round, covered under snow and ice not giving up, waiting for the next spring. Personally I feel that is a good Christmas lesson too.